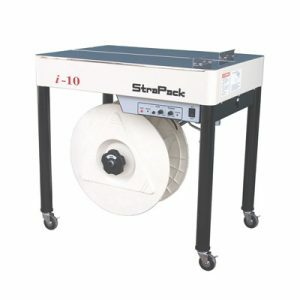 StraPack is the world’s largest independent manufacturer of strapping machines! Founded in 1953 in Hameln (near Hanover, Germany) by the Stephan family, the company started its activity by manufacturing meat cutting equipment and machines for the preparation of bakery and other food products. In recent years, STEPHAN Machinery has become the market leader in processed cheese technology for the production of all kinds of processed cheese, such as; spreads blocks and slices. 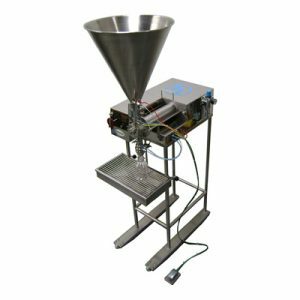 Also, in the field of machinery for processing convenience food products, STEPHAN has attained a remarkable position. The most important applications in this field are ready meals, soups, pasta, mayonnaise/ketchup and baby food. We are also still involved in process solutions for products such as meat/skin emulsions, liver pate, pet food etc. By means of our highly efficient Microcut machines, homogenous fine cutting and emulsifying of meat can be achieved. 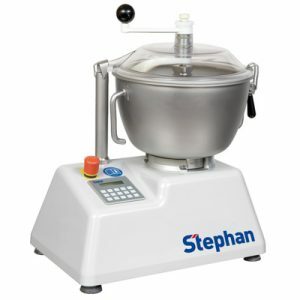 Last, but by no means least, STEPHAN is also well-known for its excellent confectionery process technology – being a recognised leader in the supply of machines for marzipan, praline masses. etc. In 2003 we created our own Centre of excellence for engineering and automation in Schwarzenbek/Hamburg. The concept was to have an organization that offers solutions ranging from individual engineered process units through to complete plants equipped with the latest automation technology. In 1985, Robert OuYoung, Chairman of ANKO, received customer request of making fully automatic spring roll machine. He sensed the business potential and believed Chinese dim sum would become popular thoughout the world, since then he started to lead ANKO to transform into professional Chinese dim sum machine developer and manufacturer. After 2 years in depth field survey and evaluation throughout worldwide professional food and its machine related exhibitions, foods from supermarkets, and food manufacturers, he further confirmed the great potential demand for food machines to adapt fast changing food trends. 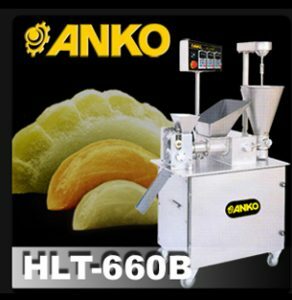 Since 1987 ANKO have devoted to develop series of Chinese dim sum machines for dumplings, shumai, spring roll, pot sticker, mini juicy bun, green onion cake, glutinous rice ball, baozi, Chinese bun…etc., till now, you can find almost every machine solution for Chinese dim sum from us. In 1992, Robert set ANKO’s vision to become the most professional ethnic food machine manufacturer in the world. ANKO thus enhanced RD team to design food equipments for East Europe, North and South America, South-East Asia, Middle East, Africa, etc. To expand production capacity, Robert set 2 sole proprietorship companies, Ningbo ANKO and Ningbo HOMELIFE, at Ningbo, Zhejiang, China, to fabricate parts and basic assembly. View and download the ANKO catalogue.